You may have caught Simon Reeve – the globetrotting TV presenter – on the BBC2 ‘This World’ series a few nights back taking in some of the fabulous landscapes and colourful characters in Cuba. He covered some really interesting angles including the history of the revolution and the relationship meltdown between Cuba and the USA that still lingers today, after Castro launched full steam ahead into developing a communist style state backed to the hilt with Soviet money. 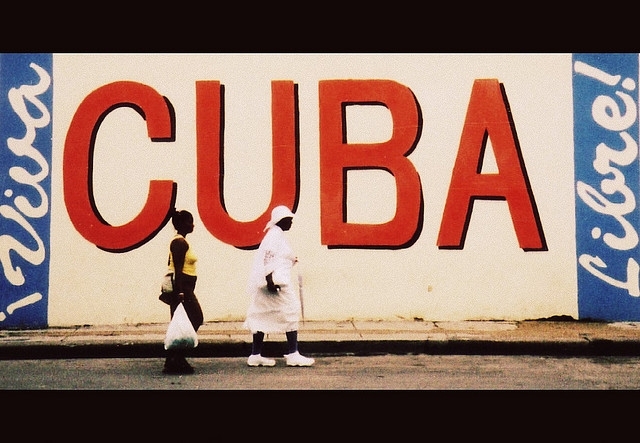 After the collapse of the Soviet Union, Cuba lost all subsidies and trade all but collapsed, precipitating an economic catastrophe of staggering proportions. The programme also covered the opening up of the free market that is spreading like wildfire across the island as thousands of Cubans set themselves up in business selling anything from plumbing supplies to home made pizza – even from a third floor apartment, lowered to customers in a basket. (This bit wasn’t in the show, but we saw it when we were in Havana!). Fascinating stuff, and it is no surprise that our Cuba tours are filling up fast for 2013. The next few years are going to be critical in the development of the new Cuban economy, and if you visit soon you can experience this vibrant and beautiful island in the throes of the most significant changes that it has seen for many generations. You can catch the programme on the BBC iPlayer here. Pop the kettle on, sit back and enjoy.